Normally, we typically post just front and rear 3/4 shots of cars on the front page, making you click to see the full galleries. 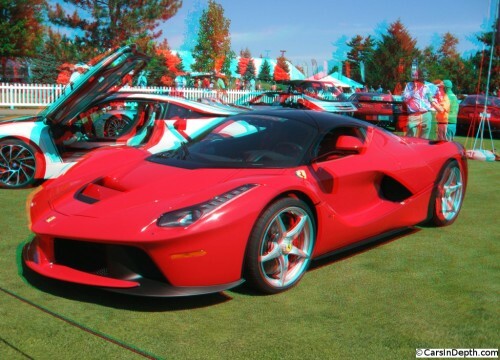 The Ferrari LaFerrari, though, has so many interesting shapes, slats, scoops, and ducts that it has to be seen either in person or in stereo to appreciate it. Actually, at the 2015 Concours of America at St. John’s I got a chance to see two of them. Ken Lingenfelter brought his and there was another one on display in one of the vendor tents. That was fortuitous as I was able to get shots of the interior and engine compartment (well, you can always see the engine, as exposed powerplants is a de rigueur styling cliche motif for mid-engine supercars). Yes, you can see right through the nose of the car. 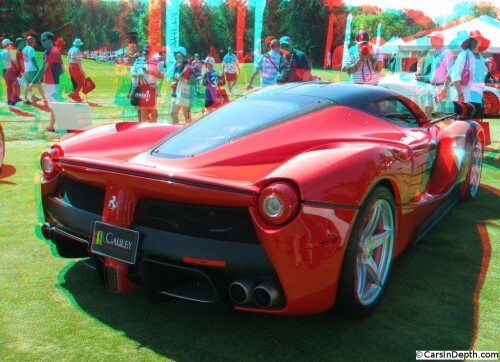 When the doors flip open, you can tell that the LaFerrari is based around a relatively narrow carbon fiber tub. 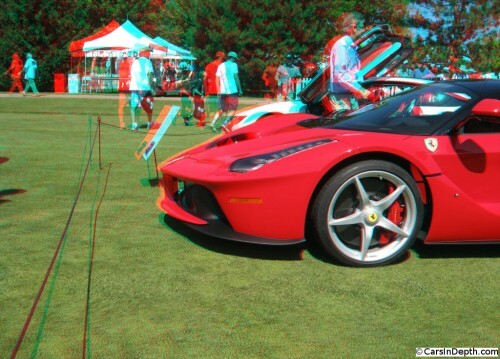 This entry was posted in 3D Imagery, 3D Photos and tagged Concours of America, ferrari laferrari, ken lingenfelter. Bookmark the permalink.